There's around five thousand fewer people playing StarCraft 2 today, as Blizzard starts clearing the decks of rule-breakers. 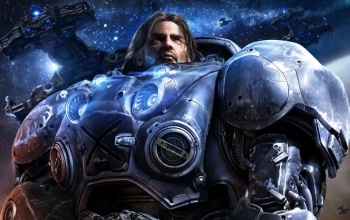 We knew a crackdown on StarCraft 2 cheating was coming, as Blizzard warned everyone a couple of weeks ago. Today, it's made good on that promise and brought the axe down on thousands of players found to be using hack programs or otherwise cheating. In a statement on the official SC2 site, Blizzard said that the number of people banned or suspended from the game was over 5,000. The statement read that aside from "undermining the spirit of fair play" on Battle.net, there was a danger of the cheaters causing stability and performance issues for other players. Blizzard said that maintaining a stable and secure experience for "legitimate players" was its top priority and that it would continue to be on the lookout for anyone who wasn't playing fair. Anyone who earned a suspension just has to wait out his or her sentence, but those who were actually banned will have to buy another copy of the game to keep playing. Hopefully, anyone forced to spend another sixty bucks will learn from the experience - and the expenditure - but that said, there is exactly zero chance that this is the last time anyone will be booted from StarCraft 2 for cheating.